A hail storm last summer assaulted my garden while meine Überfrau and I were in Phoenix where she had another operation on her eyes for a retinal detachment. I asked my friend and student, Tam Nguyen, to check on my tomatoes, hoping that the hail didn’t hit them. She replied, “My heart is sad. I cry for your tomatoes.” The chances of something bad happening with tomatoes are discouragingly high, not probable but possible, not necessary but nearly inevitable. Why bother? The taste, that’s all, the taste. Store-bought, corporate, industrial, capitalistic tomatoes don’t cut the mustard. They’re tasteless and too firm like cardboard, leaving only the taste of flavorless acid. Actually, they’re easy to grow. It’s the hazards, diseases, insects, and weather that are the problems, but they’re all manageable, save for the weather. 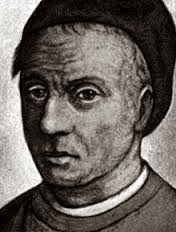 “For man proposes, but God disposes; neither is the way of man in his own hands” (Thomas à Kempis (1380-1471.) Grief is a natural component of growing tomatoes. First of all, containers are useful for growing tomatoes. It’s easier to control the water and fertilizer and to prevent infestations, diseases, and insects by placing the containers farther apart. As parents know, afflictions spread like wildfires in kindergartens. I would recommend the tomato containers and cages sold by Gardeners Supply or other such similar containers found in local nurseries; however, five gallon black containers do a dandy job and are a lot cheaper. It depends on the degree of one’s fanaticism. Another advantage to a cage is that with sufficient warning the containers can be covered to protect the tomatoes from adverse weather. 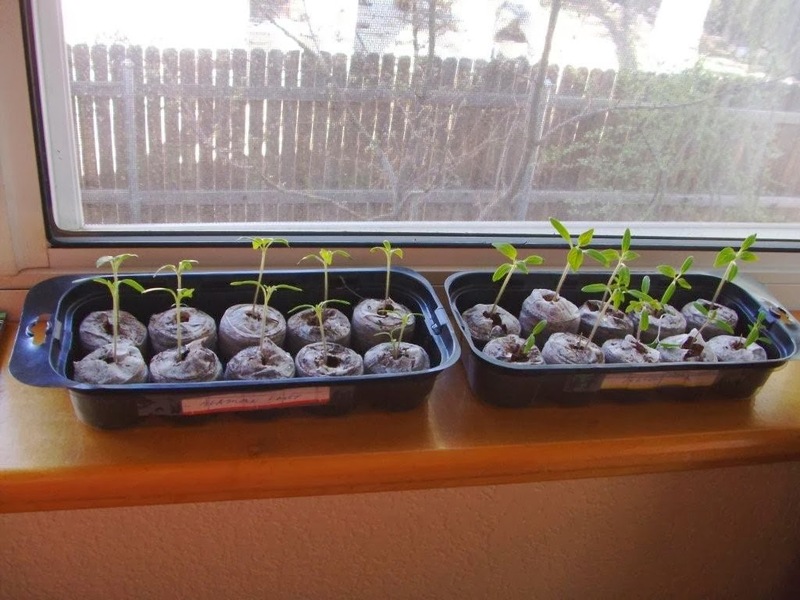 Seeds are the best way to start for several reasons. As with hospitals and kindergartens, nurseries are more likely to have infestations and diseases than packets of seeds. Although it’s a lot easier to buy a tomato plant than a pack of seeds, it’s slightly more problematic. The trick is to inspect the plant in the nursery as though one were searching for leaks at the NSA, even to the point of using a magnifying glass. New gardeners and non-gardening philistines may scoff at such vigilance, but pay them no mind. Also, seeds offer an opportunity for tomato varieties more congenial to the high country, as in our short growing season. Seeds are easy. Nurseries sell small packets in which to start the seeds. All they need is a sunny window sill. After the plants develop their second leaves, transplant them into a pint container. When they develop into sturdy plants, they can be transplanted outside. 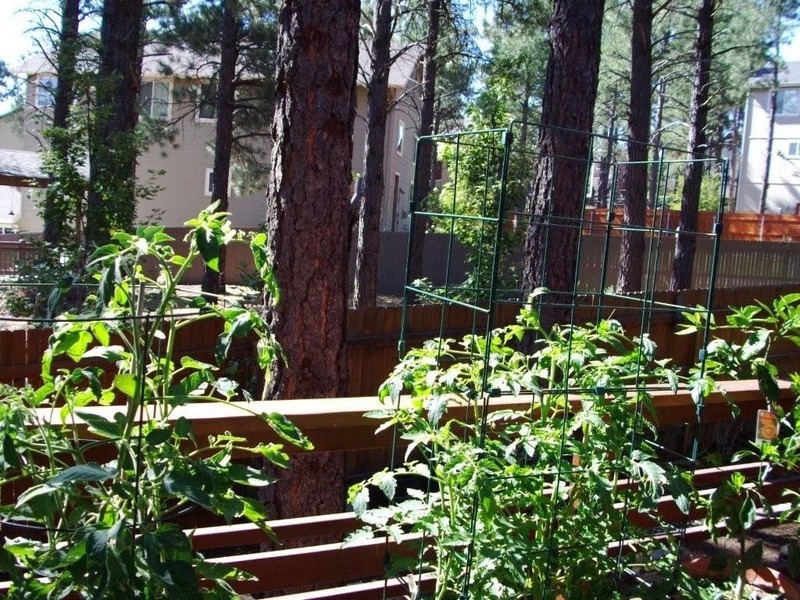 Since the last frost statistically occurs in Flagstaff about June 15, the transplants can be protected by Walls ’o Water until the danger of frost is past. The soils should be friable with lots of compost and organic material. While a high nitrogen fertilizer is helpful at first to get the plant established, the fertilizer during the growing season, whether organic or artificial, should be high in phosphorus (K) and potassium (P). Too much nitrogen (N) will give the gardener an outstandingly beautiful plant with few tomatoes. will cloud the plant. The only remedy is sudden death at the hands of Environmental Services lest the white flies spread. Other maladies such as blossom-end rot, various wilts, blights, and unwelcome viruses are a part of the grief panel, and for the most part they can be dealt with. 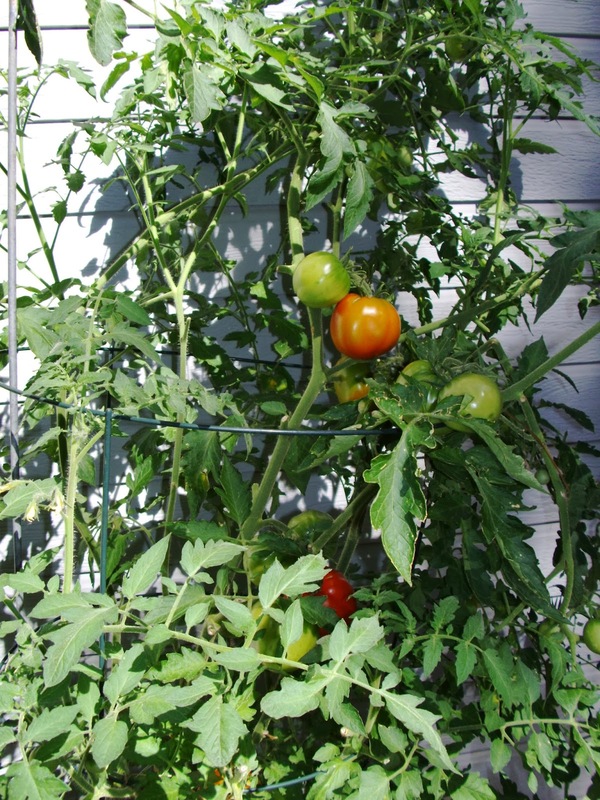 An excellent source of information online is http://ag.edu/pubs/garden/mg/vegetables/tomatoes.html. 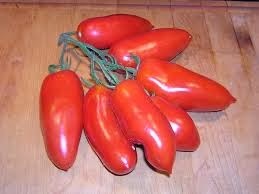 Now, the best all around tomato plant for Flagstaff is the Stupice from what was once Czechoslovakia. The tastiest is the Siberian yellow grape Galina, the earliest, the problematic, Canadian Beaver Lodge Slicer, and the two dependables, the Montanan Prairie Fire and the Siberian Sasha’s Altai. This year I’m going to experiment with a San Marzano at the suggestion of Gretchen, a foodie. Thank God and Drs. Graff and Johnson, she’s doing well. Ravaged tomato vines are a small price to pay for eyesight. I really enjoy your articles. Now, could you please use a different color font as it is all but impossible to easily read?! Thanks.